of the world! The Alliance has tasked you, a secret agent, with finding a mysterious artifact of unprecedented power that could change the course of the war. 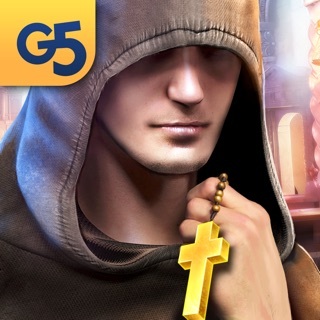 Can you outsmart your enemies, overcome every obstacle, and unravel the centuries old mystery? BUY ONCE - ENJOY ENDLESSLY! Unlock the game to own it forever! 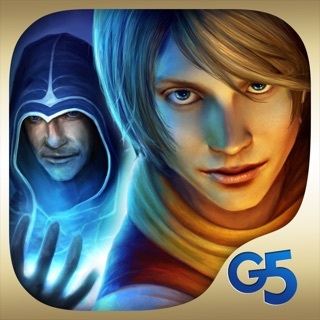 Amid the turmoil of war, the Alliance has given Agent Walker a mission of the utmost importance – track down and destroy the mythical Spear of Destiny before a sinister enemy can use its supernatural power to turn the tide of war and conquer the world! 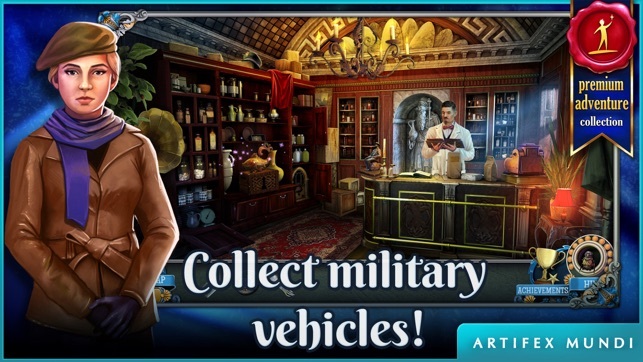 PLAY A HIDDEN OBJECT MYSTERY GAME WITH A UNIQUE WARTIME SETTING! The year is 1942, and the Europe is in flames. In the midst of the grim war, an mystical artifact known as the Spear of Destiny has been discovered, and it's believed to have the power to change the destiny of the war. EXPLORE 35 HAND DRAWN LOCATIONS IN WAR TORN EUROPE! Some believe the Spear to be nothing more than a larger-than-life myth, but neither side wants to make the mistake of dismissing its paranormal power, so a desperate race to uncover the truth about the relic begins. A FANTASTIC STORY WITH A PARANORMAL TWIST! 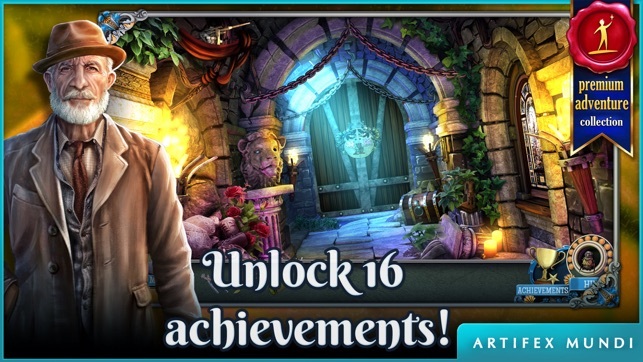 To complete her mysterious mission, Agent Walker will have to cross the grim battlegrounds of France while facing death, destruction, and hidden puzzles every step of the way. But with so much at stake, there's no turning back. PUT ON YOUR DETECTIVE HAT AND FIND THE HIDDEN RELIC! 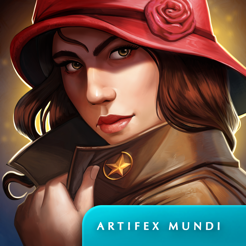 Agent Walker will put on her detective hat and search for the location of the mysterious relic while solving puzzles and tackling obstacles. Of course, there's a sinister spy among the members of the Alliance who will stop at nothing to thwart the protagonist. 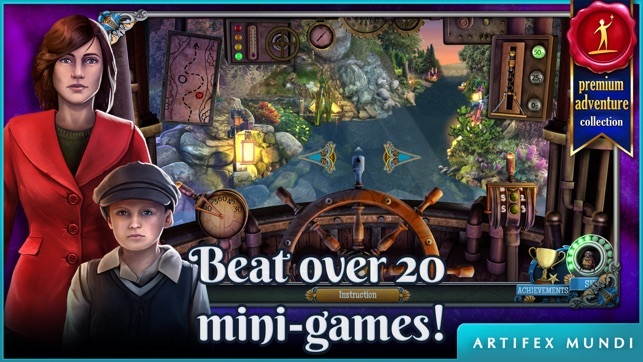 25 ENTHRALLING MINI-GAMES AND 22 HIDDEN OBJECT SCENES! Time is of the essence. If the enemies of the Alliance get their hands on the artifact, they would have the power to bring about the end of the world as we know it. Will Agent Walker succeed, or is mankind already doomed? 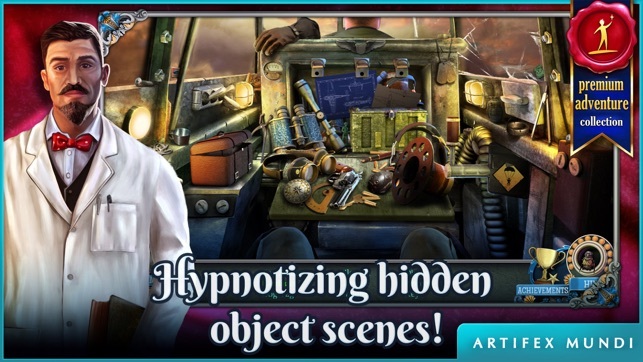 A NEW HIDDEN OBJECT MYSTERY GAME NOW IN YOUR LANGUAGE! Enjoy the paranormal story in English, German, Italian, French, Portuguese, Spanish, Polish, Russian, Chinese, Japanese, and Korean. 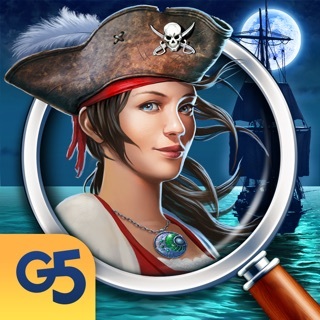 TAKE YOUR HIDDEN OBJECT GAME WITH YOU! 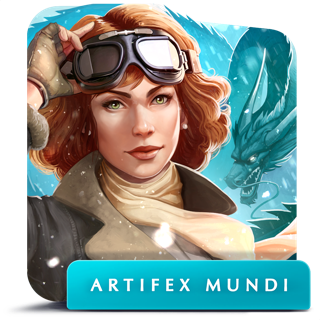 Optimized for phones and tablets, filled with hidden objects, and perfect for playing while traveling. No Wi-Fi is required for this offline game! 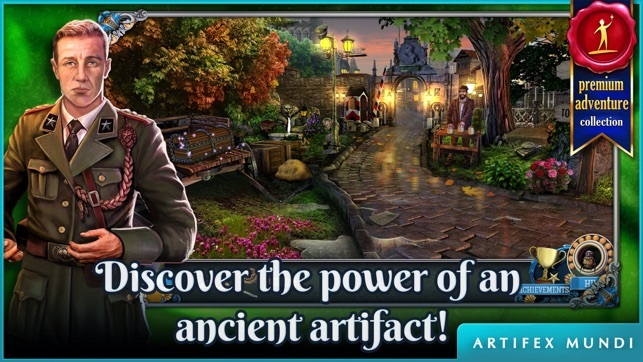 SIGN UP FOR OUR NEWSLETTER TO LEARN ABOUT NEW HIDDEN OBJECT GAMES EVERY MONTH! 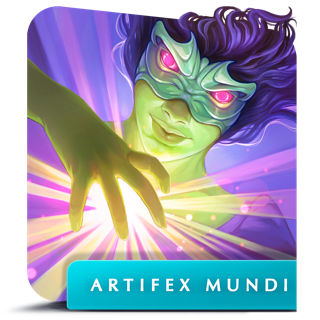 FOR MORE GAMES LIKE THIS, CHECK OUT "ARTIFEX MUNDI!" 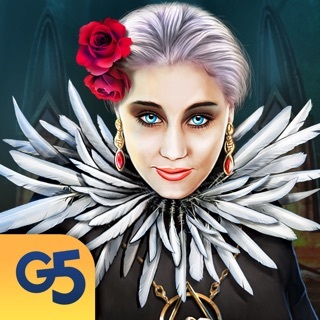 Try it for free, buy it if you like it, and enjoy it without any restrictions! THE CLEANUP TASK IS COMPLETE! – Thanks to your feedback and comments we were able to quickly find and remove those pesky bugs. Great job! If you see that something is wrong, drop us a line or write a comment and we'll sort it out in the next update. I literally got out of a cave, went down the road to the town and got the man his medicine, then the last part I was doing mini games in the room where the old man gave me the handle. I finish the games and I’m back in the town, when the room I was just in sparkles again, so I touch it. Next thing I know I’m done. I’m being told I have to pay $6.99 to go on. That was ridiculously short and you want me to pay after that? Is that all this game was? Just get to town and help the sick man? I never go to do anything with the tuna I had. What the heck? I hope the game just crashed or malfunctioned because there’s NO WAY I’d hand over money if $7 left of the game is gonna be as short as what I played. I have no idea how much is left. There’s no way of knowing. Is free game play literally over after getting the knocker and playing a few mini games? Wow total waste and awfully audacious of you to then want $7. Sorry to do this in a review, but there’s a rather annoying problem. I picked up the chisel/file/metal cutting thing and now there’s a tiny version of it hovering in the screen. It doesn’t matter what room I’m in, or if I’m doing a HO, it’s still there. It only goes away when talking to another character. Still there even after rebooting the game. Kinda frustrating. 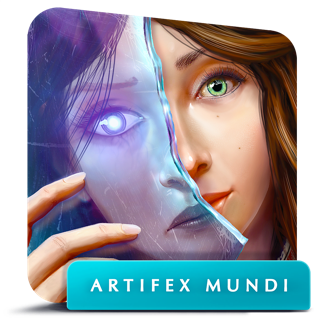 Otherwise, the game itself is the usual Artifex Mundi fare. Better-than-decent graphics, interesting story, beautiful music, and worth the money in my opinion. Still waiting on a Lost Grimoires 3 sequel! Hope I don't become disappointed like usual but at this point, this is fun. Requires iOS 6.0 or later. Compatible with iPhone 4, iPhone 4s, iPhone 5, iPhone 5c, iPhone 5s, iPhone 6, iPhone 6 Plus, iPhone 6s, iPhone 6s Plus, iPhone SE, iPhone 7, iPhone 7 Plus, iPhone 8, iPhone 8 Plus, iPhone X, iPhone XS, iPhone XS Max, iPhone XR, iPad, and iPod touch.